An exhibition by the Brighton based illustrator Anthony Atkinson of artwork created for the book of the same name published by Ebury Press, May 2015. 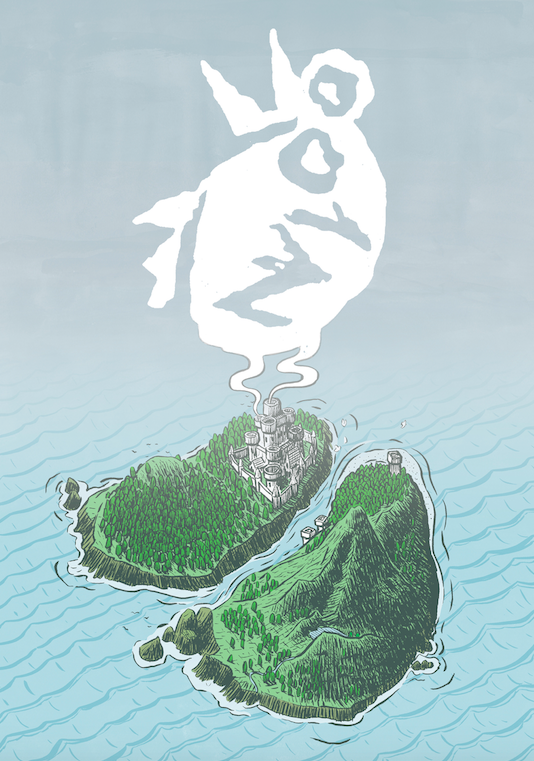 A celebration of the magical islands that surround Britain, the book is a collaboration with the writer Mathew Clayton. Anthony’s work has appeared on record, magazine and book covers. He also creates his own landscape prints and graphic short stories. You can find more of his work at bigaband.com or via Instagram @bigaband.